We’d love your help. Let us know what’s wrong with this preview of Maynard Trigg and The Creature Beneath The Veil by D.C. McNeill. To ask other readers questions about Maynard Trigg and The Creature Beneath The Veil, please sign up. 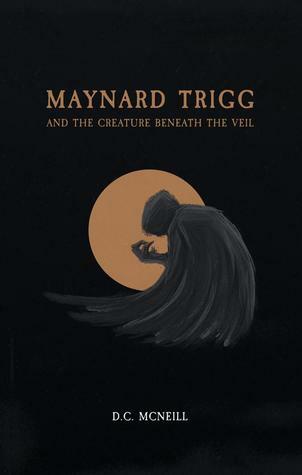 What I love most about Maynard Trigg and The Creature Beneath The Veil is the feeling of adventure. That and the way the places were described. It made me feel as if I was right there in the story. And Moony had me intrigued. Who was he to Maynard's father? What was he? Is he a good guy or a bad guy pretending to be good? There was so much that the protagonist, Maynard, had been thrust into after his father's disappearance. It was one puzzling, harrowing instance after the next. I actually had s What I love most about Maynard Trigg and The Creature Beneath The Veil is the feeling of adventure. That and the way the places were described. It made me feel as if I was right there in the story. And Moony had me intrigued. Who was he to Maynard's father? What was he? Is he a good guy or a bad guy pretending to be good? There was so much that the protagonist, Maynard, had been thrust into after his father's disappearance. It was one puzzling, harrowing instance after the next. I actually had sympathy for the boy. Imagine everything familiar taken away from you. Add to that some things you need to see done just so you could survive and solve the mystery. About 3.5 stars which is a high rating for me. I loved this book. I could tell it was in part inspired by Stephen King’s the Gunslinger - captures the feel of that series while being a unique story in its own right. I’m looking forward to book two. Overall an very enjoyable read. I found the main character intelligent and relatable who adapts as best he can to the situations in the book. The pacing was good so the story didn't slow down. I thought it was a good mix of fantasy, horror and action with a pirate thrown in too. This is only the first book so looking forward to more! It’s pretty good the pacing isn’t too slow nor too fast. The wide cast of unique characters makes sure that the story never gets stale nor repetitive and the main character acts how we would act if placed in their situation but they slowly become accustomed to the reality of the situation at hand. A great first novel with a lot of heart. An interesting setting with a lot of potential for future exploration. Imagine wishing for your day to be more thrilling than the norm. Something better than just studying about soil and its chemical elements; however you regrets it when a mysterious man appears out of nowhere and tells you that your father got murdered. And you are now haunted for something he secretly discovered. Can you survive this twist of fate? Or, will it destroy you for life? Written by D.C McNeil, this story speaks of a boy escaping his homeland only to struggle with who he should trust i Imagine wishing for your day to be more thrilling than the norm. Something better than just studying about soil and its chemical elements; however you regrets it when a mysterious man appears out of nowhere and tells you that your father got murdered. And you are now haunted for something he secretly discovered. Can you survive this twist of fate? Or, will it destroy you for life? Written by D.C McNeil, this story speaks of a boy escaping his homeland only to struggle with who he should trust in order to secure his safety from the creature that killed his father. It is a well-written science fiction novel that introduces us to the captivating world of skyships, mesmerizing tales and different types of chemical formulas that leaves one wanting to know more about it. The title, Maynard Trigg And The Creature Beneath The Veil represent the mysterious connection between the protagonist’s father and the people he meets on his long journey. An interesting theme that combines the world of the advanced pirates and the different types of social class he believed he knew as we come to learn about it along its pages. The structure is quite interesting as well. Introducing a pirate, along with a legendary pirate fork tale; one is lead to expect that this story is another treasure hunting adventure and the boy is expected to either choose to support the law or join the piracy lifestyle. However, in the most intriguing manner; the truth unfolds, leaving one with more questions but in a good sense. Its balanced pace also allows the reader to grasp everything that is going on, all the while leaving them eager enough to turn its pages quickly. It is a cleverly written narrative that challenges the decision each character takes repeatedly; gives quite an interesting character development. Something the author perfectly delivered by revolving his story around the obvious element, trust. It wasn’t clear to me what had befallen to some of the characters - despite a strong influence on the story -by the end of it. And this left an unsatisfied feeling to the ending since some arcs felt unresolved. Also, it was not clear how old the protagonist is, making it a bit difficult in fully engrossing myself in the story as a reader. Overall, the book was pleasant to read and I rate it as 4 out of 5 due to some unresolved character arcs and age reference. The dialogue is well written and flows flawlessly, allowing the reader to live within its storyline. The pleasant yet unpredicted twist of the story hooks the reader all the way to the end, which provides a complete satisfaction regarding each character’s arcs. It’s a promising YA story of wisdom, trust, and loyalty. And I recommend Maynard Trigg and the creature beneath The Veil to those who deeply enjoys adventure and mysteries stories that dig deeper into layers of day-to-day life decisions. David McNeill was born in Brisbane, Australia to a chemistry teacher and a mathematics, systems luminary. His mother would read Harry Potter to David and his older brother, Alex, when they were very young. During his formative years, David read anything that wasn't nailed down, and wrote terrible novels that his six-grade teacher read and provided kind, encouraging feedback on. After studying at n David McNeill was born in Brisbane, Australia to a chemistry teacher and a mathematics, systems luminary. His mother would read Harry Potter to David and his older brother, Alex, when they were very young. During his formative years, David read anything that wasn't nailed down, and wrote terrible novels that his six-grade teacher read and provided kind, encouraging feedback on. After studying at nerd-school, the Queensland Academy for Science, Mathematics and Technology, David discovered he was much fonder of words than numbers. He matriculated at the Queensland University of Technology, completing a Bachelor of Fine Arts and a Bachelor of Business Management, both of which led to the realisation that business is a bit boring and creative writing courses aren't especially good. David went on to study as much literary theory as he could, all the while working two jobs and penning, what he believed, was the next great Australian novel (it was not). During his last years of study, David met a fellow creative writer and locally known academic terror, Aron Oroszvari. Aron would go on to help David pick through from a million-word manuscript with no real story, and somehow, together, they came out the other side with Maynard Trigg. Having been published in Yellow Bird Magazine, meeting his podcasting heroes and building a media company, David finally bit the bullet and got to finishing his book. He teamed up with Cameron Smith, a Brisbane and Sydney e-commerce Veteran who created an automated online distribution platform, focusing on print-to-order that made physical copies of the paperback available internationally overnight. After many awkward holiday events and bad explanations at dinner parties, David's book, Maynard Trigg, is finally out. He hopes you like reading it half as much as he enjoyed making it. “Did you know, Maynard, that there is nothing worse than a disloyal friend? A disloyal friend is not truly a friend let alone a person. Empathy, integrity, and reliability make for good friendship, Maynard. But a friend is no friend without loyalty. Without loyalty, those friends are more like flowers. They might be beneficial. Perhaps they make life easier for you. Perhaps, even, they make you happy.